I find a lot about the gender roles debates to be distracting and off-topic. What does it mean to be a man or a woman? What are our proper "gender roles"? Can a man stay at home and a woman be the bread-winner? And so on and so on. To be sure, these are important questions and important debates. But for me, they are often beside the point. The problem, as I see it, is less about what men and woman can or can't do than with a group of men in the church exerting power over another group--women. In short, men are "lording over" women in the church, exercising top-down power via a hierarchy. More, this group of men is prohibiting another group (women) from having access and input into the very power structure that is being used against them and excluding them. That's lording over. And gender aside, that sort of lording over is prohibited by Jesus. "But among you it shall be different." For example, what rankles in my own local church context is that women have to ask men for permission. Women have to be allowed to do things. And it is this concentration, use and gatekeeping of power that is sinful. The issue isn't really, fundamentally, about what "roles" men are equipped for versus women. The whole debate about "gender roles" is often beside the point and, I think, often a manipulation to keep our eye off the ball. Because the only role in the church is the role Jesus took upon himself. The only role in the church is being a servant. So when you see a group in the church using and then excluding others from power--rather than eschewing power the way Jesus did--you move about as far away from Jesus as you can get. This is importing into the Kingdom satanic, worldly manifestations of power, bringing sin into the very heart and life of the church. Dear brothers, repent. Repent and believe the gospel. The Kingdom of God is at hand. Among us it shall be different. I'm with you on the application of the text to gender-related exploitation, and all kinds of exploitation. Still, I would like to reclaim another word: power. Here, I think the main form of power you specifically object to is "constraint" or "control" or "gatekeeping." And yet, you go on to immediately exercise a similar kind of power: marking off the opposing position as outside, satanic, an intrusion ... and by extension, perhaps a disease, an impurity, a corruption, and a sin. Things to be cast out. But let's be generous, and think of ways that this inversion, this exercise of mirror-image counter-control, might not be hypocritical. First, you could read this all dialectically: Richard Beck is being clever. He doesn't mean for this post to end in a controlling, gatekeeping exhortation, but instead he means for us to also critique his exhortation and so, in some rather Nietzschean manner, become independent thinkers by rejecting him. Clever. Second, you could say that there is an implicit distinction of some sort that marks off your exhortation from other kinds of constraint, control and gatekeeping: perhaps the question is whose interests these forms of power serve (so some gatekeeping is acceptable, as long as it is exercised to maximize inclusion, by excluding the excluders), or perhaps a special category of person (such as people of Beckian lineage) are permitted to use it by nature of their position, or perhaps this is not really constraint and control after all, but a different form of power (such as moral exhortation) that is exempt from these complaints. I don't think you are going for the Nietzschean option, and I don't think you should go for it here. Among the second set of options, I think the notion of "gatekeeping in the interest of inclusion" is the most compelling; still, if this is what you are doing, I think it is good to be explicit about it. Power that is exercised without acknowledgment becomes unaccountable, and I'm utterly opposed to that kind of power masked, innocently, as powerlessness. At a more basic level, though, I'd like to reclaim the word power, especially in the sense of "a capacity to do something," as a word with generally positive connotations. God is powerful. Jesus is powerful. Your money gives you real power, which you have the joy and the responsibility to use to bless others. Voting is power, and being an engaged citizen is even more power, and you are to use your talents to help the poor. Power is dynamic, the source of dynamism. For the types of manipulation and control that you are objecting to, why not say "lording over" or "control" or "manipulation"? The use of the word "power" in unique association with "satan" is, I think, quite satanic. Specifically, it glorifies satan. In doing this, you install a glorification of satan at the very heart of the gospel. Dear brother. Repent and believe the gospel. The Kingdom of God is at hand. Ah! Now I am inverting your inversion. How does it feel? And in what way am I exercising power? I appreciate your post so much - when I was asked to "tell my story" about being a woman in ministry, I thought about all the things I'd been "allowed" to do versus what God has called and gifted me to do. They are not always the same. First, I think that this post makes a profoundly important point for the Church, which I note because it seems a shame to change the point when it is so important. To your main point, I think you're completely correct: Power, per se, is not an evil--its misuse is. And the misuse in this case, I think, is straightforward: men using power in a self-serving way, rather than as servants. Changing that would undoubtedly transform what has been called "the role of women in the church." (Ick!) So I think you make a good point, but it does not require a ton of analysis to clean up the small problem in an otherwise extraordinarily important, and well conceived, message. Thank you for this post. I've always been amazed at people who think I need to ask permission from someone other than God to use the gifts he has given me. And the whole debate over the role of women makes me crazy! Women don't have a role in the church, we are the church. I find your statement, "That text [Gal. 3:28] is huge for me," to be among the most arresting aspects of this post. Large churches have made it necessary for unilateral decisions. It doesn't make sense to try and get consensus in a church of 2000 members-nothing would ever be decided. Majority rules. And yet, the point stands: It shall be different among you. Any time a decision is made in a church that is disagreed upon, someone is being lorded over. This is a necessity in large churches. This is why I advocate "simple church". Among us it shall be different. Amen. Great point about size. You're going to have to have some structure which has the communal consent to make decisions. But then again, these structures should be servants. More, as I tried to highlight in the post, a key issue here is permeability. Do those being served have access and input to those structures? Can they join and participate in those structures that purportedly serve them? Because if they don't then those structures stop serving and start lording over. It's not that power exists per se but its the quarantine around power, using power over others and then denying them access to that power. That's how I'm defining "lording over." But you are right, a simple church model does much to eliminate these sorts of institutional temptations. I'd argue that the post is putting forward a criticism not of power per se but is, rather, criticizing a particular use of power, "lording over." As it stands, calling this use of power satanic is non-controversial as it's simply a restatement of Jesus' prohibition. Christians should not lord over each other. Jesus said that, not me, even if Jesus was being clever. So the issue then becomes what does it mean to "lord over" so that we might avoid doing that in the church? In the post I put forward two criteria: 1) A top-down, hierarchical use of power (e.g., a group of people being "in charge" of another group of people), and 2) Prohibiting those not in charge from having access to the power structure (e.g,, someone not currently in charge never has the ability to participate in being in charge or removing those who currently are in charge). Simplifying, we could say lording over involves hierarchy and impermeability. Applying this analysis to something other than gender, we can look at something like helping the poor. Yes, power can be used to help the poor. But should not the poor have some input into how that power is used? Or should they just passively sit there while the rich people tell them what they need? The point being, yes, money is a form of power that should be used as a good. But it should not be used hierarchically and the people being helped should have input, should be given control over how that power is used in their own lives. The power should not be used on them--from the top-down with no input--but shared with them as a gift. Dan, you doth protest too much! Richard was quite clear regarding the manifestations of power he is objecting to and calling sin : ""lording over"..., exercising top-down power via a hierarchy". With all due respect, you seem to be proving Richard's point that much conversation on this issue "is often beside the point and, I think, often a manipulation to keep our eye off ball." I recall a good friend of mine weeping at how this whole notion of "allowing" and "permitting" women to do things in the church was such a deep humiliation. Thanks the thing that brings me to a rage, how this use of power is humiliating--humiliating and shaming--human beings. Thanks for this, Richard. Amen. I also wonder how much of the lording over has been done in the name of the weaker brother idea. Which actually reminds me of a great line from Tony Ash at ACU: "You should help the weaker brother, but you don't have to put up with the grumpy brother." Keep up the blogging sir. I may not always agree with you, but I appreciate your thoughts. Certainly women encounter the most unfair abuses of power in the church, but I get frustrated with what I call gendertyping, assigning tasks in church (or anywhere) based on gender rather than giftedness. When gender stereotypes are employed, men can't do certain things deemed acceptable only to the "feminine" and vice versa. Did you know that at my local church a man cannot change a baby's diaper in the nursery. Not that I want to, I just don't like the implication that all men are either perverts or incompetent to do so. Likewise, there are other things reserved for men because, "that's a man's job" when a women would do it better. Sometimes it is about power as you describe here. Other times it's about gendertyping men and women into socially constructed gender roles. I like pink, can cook in the kitchen, and can change diapers just as well as anyone! Thanks for the replies, all three :) I'm totally in agreement on the basic ideas, and totally supportive of the message. Please don't take my efforts to push the conversation forward as an effort to subvert, protest, criticize or otherwise grouch all over a very important message. Part of why I remain outside of the Catholic Church in which I was raised is that I can't abide its profound sexism. Still, is there more analysis of power to be done here? I think there is. Following a series that just made significant use of the concept of "weakness" as an apologetic for warfare language, I think there are some broader issues (and not just here, but in liberal and progressive circles more broadly) about power and how we talk about it. I think Richard put in good caveats and notes throughout this post, and I even thought about adding a note to that effect. But my posts are already too long as it is :) Still, in the imperfect way that communication works, I think there is a meaningful point to be made here about a widespread liberal discomfort with the language of power. There are traces of it here, and great swathes of it running through the last series on power and weakness. And what's more, I think this discomfort points to the importance of thinking through power in more detail and depth. To look at the example of "giving power" and not just exercising "power over" people, I think that is a wonderful impulse. Totally there, at that broad level of "basic impulse." However, as the discussion shows, power itself is not an unambiguous good. In fact, it can become satanic, in certain forms. So is this such a simply resolved question? To be clear, I am not remotely interested in arguing that women should not be allowed in ministry because they would abuse the power, or that poor people should not be given real autonomy and decision-making power. Instead, I'd say that power itself is a complex, multi-faceted phenomena that has spawned a massive and fascinating academic literature, and we frequently aren't as clear on what it means as we feel we are. Even helpful, but rather limited, nostrums like "power shouldn't be top-down" and "hierarchy is bad" rather quickly run out of usefulness. For example, If hierarchy is so bad, shouldn't we be dismantling it, instead of admitting women into it? And when we say power shouldn't be top-down, are we saying that bottom-up coercion is a good thing? Couldn't you also argue that part of the struggle here is the culture's influence on what is a desirable position to hold opposed to what scripture is trying to accomplish in the kingdom (1st Corinthians 12)? A lot of the discussion I hear in this is, "Why can't a woman perform certain formal worship activities, such as preaching, leading pray and singing, and scripture reading, if she is gifted in that area?" The implication is that she should want to do those things because they are major functions of the Church. I'm unconvinced that that mentality towards the formal assembly is a sign of a healthy family body. As already mentioned this has largely been promoted by leaderships that "lord over" authority but also by a culture that insists that the person up-front is more important than everyone else. Happily in my ministry experience I have see churches that celebrate the contributions of all people and genders because those churches are ones that are actively in the community not only for the 1 1/2 of formal worship but for the entire week. It is in these service leadership positions that both genders can excel that I believe Gal 2:38 is referring to because this is actual the more important role. Fair enough. Power can be a tricky concept and word. I agree it doesn't have to be a "bad" word but sadly it's many abuses that are pervasive in almost every context and relationship seem to justify a healthy skepticism. In this context, few are arguing for anarchy in the church . It seems reasonable that most churches (and organizations for that matter) benefit from individuals (or groups) with authority and/or a leadership function. Practically speaking, in many/most situations, someone(s) needs to be able to make decisions and take responsibility for the community. I am fine with that. What I am not fine with is when that authority/leadership is restricted to a particular group (men) based on something other than qualities and gifts relevant to the task/role. Kevin I agree with you, but I admire your local church's apparent consistency. If they are going to designate some roles/tasks unfit for women, they have at least designated some roles/tasks unfit for men based on their preferred gender stereotypes. In my experience, men who change diapers, etc. are viewed as "renaissance men", admired and perhaps even held up as examples. The operative stereotype in this case is that men have limitless potential and competencies with which to serve the community but women do not. I spend quite a bit of time discussing gender essentialism and theology, etc. I take Richard's point to be that these ways of understanding gender function as the defense mechanism or rationalization for the maintenance and exercise of exclusive power. We have to talk about these things as intimately connected, rather than separate--because that's the reality. The excuse for keeping women from having seats at the decision-making tables is gender essentialism, and the act of keeping those seats filled with only men is an exercise of exclusive power. So I think we do have to tackle these problematic constructions of gender, but with an awareness that this is an entry point to deconstructing these dysfunctional structures and practices of exclusive power. Since we don't actually often get to this level of discussion--that there is something seriously wrong about leadership structures being deliberately, completely impermeable and opaque to a specific cross-section of the people being led by them--I really deeply appreciate the way this post makes this the central point of discussion. 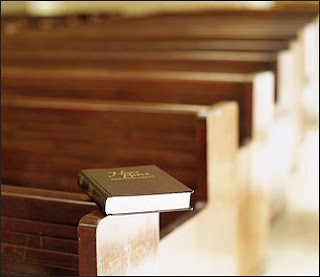 It also, as a practical matter, makes it very clear that even churches who welcome women into public participation in worship and paid ministry roles but stop short of welcoming women as equal human beings and imagers of God at the decision-making tables (elderships) in their churches still have further to go. Amen! I am currently a part of a community that "allows" women to publicly pray, read scripture, share testimony, and preside over the Lord's Table. However, they have not yet welcomed "women as equal human beings and imagers of God at the decision-making tables" (although they would not accept this characterization. They invoke the "equal but different roles" argument). Some (not all) of the male leadership see this as sufficient progress. We still have farther to go. I think we are working the problem from both sides. Power is inscribed onto bodies in various hidden and insidious ways, so that needs to be diagnosed as complicity is very hard to see or admit. However, that conversation about gender can get bogged down in debates about gender, biology and creation theology getting sidetracked and missing the deeper issue: hegemonic uses of power. Coming from the other direction, a straightforward discussion of power steps around issues related to gender and bodies. That has a clarifying effect. But it's also prone to temptations as the simplicity of the approach can make it seem that power relations are transparent. And like we both know, they aren't. Thus the need for careful diagnostic work from both ends. The nut can get cracked from a lot of different directions, creating a pretty holistic and powerful argument. I couldn't agree more with your analysis of power structure in the church. At the same time, there is something that is frequently missed in the conversation about "allowance." What's missed is history and practicality. As the descendant of people who at one point could not vote in this country, were denied equal access, and were literally second-class citizen. As the descendant of people who died to have the power-structure amended, I can say we can never lose site of a central reality: Things like this are only "allowed" the first time, then they are practiced. I'm typically fall into the camp of getting something into practice, then we can call it what we want. Thanks Sarah, just wanted to say, big fan of yours. I take "qualities and gifts" to be an appeal to something like meritocracy. I agree that meritocracy is better than arbitrary discrimination. And yet, meritocracy has its own problems. Who decides what counts as relevant qualities and gifts? Is it ok to suggest that men, by virtue of their gender, lack certain merits when it comes to being an authority on women's health? (I tend to think men do lack a certain perspective, simply by virtue of being men, and that a lot of the horrors of how pregnancy and birth have been treated in the U.S. can be traced back to inappropriate exercises of patriarchal authority. My wife is pregnant, and we jointly rage against this quite a bit these days.) Still, this kind of critique of patriarchy blurs the line we would otherwise want to retain between gender and qualities and gifts; if I can't associate gender and merit in certain areas, then I might lose a certain capacity to critique abuses of patriarchal authority. On questions of meritocracy, you also have arguments like John Rawl's which treat things like work ethic and drive as characteristics that aren't entirely traceable to individual merit, and are at least partially a product of environment and luck. But if that is believed, then meritocracy, to some degree, becomes an unfair and arbitrary exercise of power. It becomes a form of "lording over" as well...and this "lording over" even happens in Pentecostal contexts, when "merit" is qualified by the notion of it actually being spiritual gifts. Gifts can be lorded over people just as well as things that are merited. I'm arguing with myself at least as much as with you. I share your moral intuitions here, and yet I question them. My eyes dart back and forth, looking for fresh forms of "lording over" that sneak in when we think we are vanquishing it. I think that the task of using power accountably and truly lovingly requires this kind of vigilance. So much abuse is perpetrated by those who think they are victims. Certainly people who believe they are the rightful heirs of a meritocracy, and who feel they have been denied what they deserve, create all kinds of victims; Ayn Randians, for example, believe themselves to be pure meritocrats, and I think their ideology is used to justify some of the worst abuses of power we see in the U.S. right now. The sense of victimhood fostered by a sense of unrewarded merit, in this economic context, underwrites a great deal of cruelty to the poor. This would all be so very dismal and sad if I didn't think it were actually useful. I do believe that naming the powers helps us confront them, and subject them to the power of love. But that does require that we name them, bravely, especially when this naming is inconvenient to our immediate goals. I don't find this work of naming to be a distraction at all; I think it is at the core of how we resist the many forms of "lording over" that can derail us from genuine love. I find it ironic that from the pulpit, male pastors denounce the Papal authority and saying things like "We don't need a Pope to get to God!" but in their church practices they as men are acting as the spiritual mediator between women and God. Even some well meaning theologians pull "principles" out (I.E. Husbands are head of the wife, women silent in church, etc.) and within the church form set men up as the "priest". At least where I live, (even just where it's mostly traditional now not necessarily a theological belief) Men pray in public and from the pulpit 90% of the time, men take up the offering, men hand out the elements during communion, Men are primarily the teachers of the Scripture (even though there may be better qualified women attending the class capable of teaching). There is an imbalance happening but because of the structure men aren't aware of it...they're only listening to each other. Please don't take me wrongly, I love men and more than anything I want there to be unity between men and women. However, I don't think this will be possible until this priesthood of the brotherhood is done away with cognitively in the church setting. I'm not even at this point pushing females preaching or being deacons. Just recognize that women have spiritual gifts and encourage them to use what God gave them within the entire body --- not just the Children's Department or Women's Ministries. Love this, and its right in the same space as the series I'm slowly putting together at anoigmatic. There I have been looking at the Markan parallel to Matthew 20.25-28, which is almost identical, and honing in on the word translated rulers and officials which is our old favourite "archon". The surprising fact, that has been in plain sight all along, but ignored by me until I heard Dr Graham Tomlin point it out, is that virtually all NT writers use this word liberally as the go-to word for leader and leadership throughout gospels and epistles and yet never once use it do describe a Christian, or someone "leading" in a church, for which they resort to a a wide and imaginative vocab set. I think framing this discussion around the concept of power is wise. I've observed that churches who are fixated on gender roles tend to also be fixated on the authority/submission relationship between church leadership and laity. Thanks for the article! I agree with you generally, but I don't know whether the Scriptures would agree with you when it comes to the specific role of the office of the ministry, namely, preaching the Word of God and administering the Sacraments to His people. Galatians 3:28 does not exist in a vacuum: Women pastors go against the order of creation that the Scriptures lay out wherein man is the "head" of woman just as Christ is head of the church. When that order is completely jettisoned, the church loses something. Indeed, when the church sacrifices or ignores ANY part of Scripture, it loses something. I like the balancing approach of my own church body, the Lutheran Church Missouri Synod: the presumption is that women can do anything in the church (who contests that women and men are equally capable of doing most if not all things?) except for the office of pastor, the one role that Scripture reserves as a reminder of Christ's love for and headship over his bride, the church. That approach recognizes the fact that men and women are indeed equally capable of all or nearly all tasks, but where the Bible makes clear that a distinction should be made regardless of ability, it makes such a distinction. Perhaps making distinctions regardless of ability sounds funny from our narrow, twenty-first century perspective, but I believe God has reasons for doing so, bizarre as they may seem to us now. I'm sorry that it seems you have had a negative experience with your congregation! Hopefully they will read this post and the situation will improve. Your right. As many have said above, there is still so much work to do and I appreciate Richard for speaking truth regularly, even at cost to him communally at times. Pat you said, "...when the church sacrifices or ignores ANY part of Scripture, it loses something." I understood the implication in this case to mean that we should NOT ignore passages that prohibit women from preaching. The problems for me are 1) Details in those prohibitive verses are obscure, and their general tone does not easily resonate with other passages in Paul (most notably Galatians 3:26-29; but also Romans 5; 12:3-8; 16:1-7, 12; 1 Corinthians 12-13; Colossians 3:11-17), other passages in the New Testament (Luke 2:36-38; 10:39; Acts 18:26; Acts 21:9), and some passages in the Old Testament (Genesis 1:26-27; Exodus 15:20-21; Judges 4:4-10; 2 Samuel 20:16-22; 2 Kings 22:14-20; Joel 2:28-29). The ambiguity in these Corinthian and Ephesian texts is heightened when one seeks to separate them out from the rest of the biblical witness and from their historical contexts, and use them in a contemporary situation which is different from those addressed in the texts. and 2) consistency in the use of prohibitive Scripture because there are many prohibitive passages which we no longer hold on to. The bible prohibits braided hair and the wearing of gold jewelry which seems absurd to most Christians. For me, interpretation must take place by looking at the whole of Jesus's message and taking into account the historical/cultural context. The contemporary situation of church and society has itself been positively impacted by consequences of the gospel which have changed ecclesial and societal “orderings” since the First Century: one thinks, in particular, of how the gospel has affected the dissolution of slavery and racism and “separate but equal” ideology in England and America, and of how the gospel has influenced movements toward greater equality between the sexes in western culture as a whole and in the church in particular. While a completely different topic, I love this piece on sexuality by Walter Wink (http://www.religion-online.org/showarticle.asp?title=1265) because it hightlights the challenge of interpretting Scripture (if you can read it without getting caught up in the sexuality issue). Thanks for always standing up for women! Rather than basing a policy about women on a few verses in NT letters that have the same relevance now as slavery does - in other words, zero - we should be asking "what kind of leadership structures would Jesus want us to implement?" The same Jesus who said of hierarchy - "it shall not be so among you!". Richard, I've long puzzled over the question of gender role/stereotyping in Christianity. I appreciate this insight and your thoughtful post on power. On my own, I usually struggle to articulate something more than "THIS ISN'T RIGHT." Pat T., I can't help wondering whether questions about roles are really the point - do men lord it over women, when they do not permit women to preach; or don't they? Is it the existence of this system of "permission" that is the problem? Or does it depend on the attitude of the men involved? I'm not sure I know the answers to these questions, so maybe they are contextual. That's a good point, there will be a developmental sequence that needs to attended to and even honored and praised as all this plays out in practice. Much of this post reflects where I am in my local context. Many years ago women were "allowed" to do a whole lot more at our church. And that was the season for praise and honor for those moves. But after 10 years I'm mixing in some more prophetic critique as I think its time for that. Unfortunately, in every stream I've ever been a part of for 20+ yrs, I experienced this humiliation you speak of. And it goes even deeper for me than just "roles." Being athletic, I was even told that I needed to "become more feminine in my manerisms and appearance" before I could be considered for any visible leadership role (for me that would have been the "worship team"). Is it any wonder that I am currently, and will most likely remain, outside of institutional forms of Christianity? The problem with this approach is that the verses regarding woman CAN be understood differently. So we have a choice of which interpretation to embrace. Many people will claim that they are simply choosing the interpretation which they believe is most faithful. However with out a proper understanding of God's nature and what he's about, it's at best a guess. So we do need to consider the issue of power, as Richard does here. We also need to consider that there's nothing uniquely Christian about putting women under men. The practice has been nearly universal while the idea of women as equals is pretty unique to the early church. Another sign that aligning with the world's habit of putting women under men may not be how God would have use choose to interpret those verses is that Tim order for that interpretation to work, the men involved must be good. God's ways don't depend on the goodness of people to work. They have a power all their own. Thus we see that even though Christians reverted to the worldly norm of gender hierarchy after a bit, the power of the idea of equality of women was such that to this day the places in this world where women are most free, respected and influential are all places where Christianity has deep roots. So yea, you can CHOOSE to interpret those verses about women to keep gender role in place, there a host of evidence pointing to the idea that other interpretations may be better an more Godly. Richard, I'm glad you expressed this so well, and I realize I'm a few days late. But I have a question for you. It seems to me that the problem of permeability (or impermeability) is largely a cultural hang-up that makes too much of a theoretical access to positions of power. In general, even if in theory every man "may" become an elder/ pastor/ whatever, most men won't. So for the men who won't--no matter how "permeable" the system seems to you--they are every bit as much "under the power of" (requiring permission from) the elders/ pastors/ whatever, as any women are. It seems to me that permeability is a check against a system which we assume to be "lording over"--a way of making sure that I have theoretical access to "lording over," even if I am not currently in that position. If, however, the exercise of power is truly for the benefit of others, in the service of others, then I don't care so much whether I have theoretical access to that exercise of power. I can feel as "served" by a woman or a man, by a leadership that I may someday join or by a leadership that (for any one of a number of reasons) I know I will never join. Women have legitimate, painful reasons for feeling "lorded over"--and have good reasons to want to exercise leadership gifts. But do you really think that access to power (permeability) is the point Jesus is making? In the end, some instances of impermeability may be inevitable (e.g., some decision-making functions may be open to educated speakers, but not to a person with Down's Syndrome). Is permeability an absolute necessity for not-lording-it-over, or is permeability really irrelevant if we trust our leaders (of whatever gender, or whatever degree of permeability) to exercise authority in the service of the least of us? Are we replacing Jesus' demands for servant-leadership with an American-democratic need to given everyone equal (theoretical) access to the ability to dominate one another? "The problem, as I see it, is...a group of men in the church exerting power over another group - women." I used to think this narrative was one of the biggest deals when I was in college. But as I moved around and grew, my theories did not match my experience as a woman trying to navigate through Western church culture as I follow Jesus. I have not experienced this men/women group dichotomy for women who "want" but must ask "permission" or are not "allowed". But, I have experienced women "lording over" other women in almost every church/denomination I have attended on both sides of the Pond... in many various, subtle, and distinctly cutting ways. I think the man vs. woman narrative is (in many modern instances) a screen for the greater evil of woman vs. woman and older member vs. newer member. I say "greater" only in that it is more hidden in its prevalence and thus needs more disinfecting light shed on it. Amen! This has been MY experience, and I am thankful I am in a church with a female pastor and where women are valued. My mother, on the other hand, went through much abuse from men in the church, for as long as I can remember, first as an abused wife told by her pastor that God hates divorce and that she must submit to her husband, who regularly flew into rages and hurt her, and then 32 years later when after trying everything, she desperately ran for her life and divorced him and was refused communion for being divorced. I don't know what world other people are living in, where they say women lord it over other women because it sounds alien to me. I am new to this church where the pastor is a woman but I see her serving our church, not lording it over anyone. Thank you for this article where you state it clearly. It's about time someone did, especially a man. This reminds me of what Larry Crabb emphasized in his interview with Christianity Today: the idea that to be "masculine" in society is to be "moving" and to be "feminine" is to be "inviting" - much like how God the Father moved into Jesus upon his invitation. at training better elders than changing roles God has set for His church. What do you think about "Slavery" being justified by "Gods Word" in the minds of some for centuries? Was it not culture that changed in order to allow for a more "scripturally based" democratic society? Could we not say the same thing about Evolutionary Thinking as opposed to a Literal Creationist Framework based on Genesis? Scientific culture changed but "God's Word" did not. These cultural changes do not invalidate "Gods Word" but rather make it all the more potent and relevant. This is a gem. Life is really very simple, and you have further simplified it for me. It blows away a lot of arguing about submission issues. Of all who could demand submission, our Lord is amongst the first two. To the end, they submitted to Him, but it was because they loved him, and he loved them! I am not sure what you mean by slavery being "justified." However, either God's word is God's word or it is not God's word. If some is true and some is false, then how do we know? Is it what we choose to be true or false based upon what we want to believe or based upon evidence found in the bible. I do not see where slavery is justified by "God's word" but I do see where it is discussed. One thing is for sure, Christians do not live in this world to live under a democracy, to live "free" (meaning with rights i.e. voting). Paul makes it clear, if born a slave remain as a good slave. You see it is all about being a child of God, no matter what circumstance you live in. Paul does say this, if one is a slave and there is an opportunity to be free, then take the chance and become free (1 Corinthians 7:21-24). Paul gives us assurance that even though being a slave (physically) one is not a true slave to anybody but God. I see too many "Christians" fighting for more physical blessings rather than fighting for spiritual blessings. I believe we have many examples of good slaves in the bible, still remaining faithful to God and not complaining about it. It is a rare thing to live in a country without slavery, in some form or fashion. I will be thankful to live in such a country but I cannot say that a Christian cannot remain faithful in slavery, we have too many examples (Joseph, Daniel, Esther, Mordecai, Onesimus). The bible definitely does not justify slavery, read Paul's letter to Philemon a slave owner, Paul recognizes that it is a fact that slavery exists, and if one is a slave owner, than be a good slave owner. Slavery does not have to carry with it all the negative connotations that we put on it (beating, punishments, poor care to the family). Just like I have made myself a bond-servant of God's, because He is a good master, so would I not mind serving under a good physical master as well. Just because a person has abused their power in being a slave owner, does not mean all have and all will. We are so "comfortable" here in the United States and have so many rights, that we could even imagine having to bow down (not in worship but honoring and respecting a position) to a person or having one of our rights taken away, without getting all up in arms about it. I think Jesus wants us to behave different than the world and look to our eternal home in heaven as our place of rest and not here on this earth. We do not fight a physical war but a spiritual war, with spiritual weapons. Paul, in prison, converted many people to Christ because he looked at his situation as an opportunity for God, not as an infringement upon his rights. With that said, God has created and appointed everything in this world for a reason and a purpose, we may not understand it 100% but we cannot at least understand that He is God and He has our best interest at heart. Question for you: "So can only women have authority positions when the culture they live in says so?" For example, women in the middle east do not have such rights as women have here. Would it be be against God's word for them to take an authoritative role in the church. If yes, then man because He changes culture can change God's word, as if God did not know a time would come when women would have rights in a society. Would it change, if the United states was ever invaded and taken over by a country that would not give women such rights? This is a great explanation. Very well said! On 1 Timothy chapter 2 - is it cultural that I've never heard a sermon on why men need to raise up holy hands in prayer? Was Paul being cultural when he said that women are saved through child bearing or is that a theological truth for the ages? And if so, why hasn't there been a sermon on the fact that women are saved through Christ and Child bearing? What if the word authority used in 1 Timothy chapter 2 is never found anywhere else in the New Testament so it is not even fair to compare it to other references in the New Testament on "authority" - it is a different word, usually stated as a harsher word? My point is that many people seem to have no problem extracting from 1 Timothy 2: 12 exactly what it means in regards to whom and when and under what context and even in what room and on what day - women can teach. But I think that kind of specificity on a verse surrounded by verses one might never hear preached on (raising hands) and found right close to a verse that is theological heresy (saved thru child bearing) and even possessing a word that is extremely difficult for Greek scholars to tell us what it means . . . I think that kind of specificity is very cultural, don't you? The adamant determination, Richard, of those in power to retain their power is as old as the leadership which rejected and condemned Jesus. Power, in Ephesus and throughout Asia, was in the hands of the female deity, Artemis. Artemis was to the Gentiles in Ephesus and Asia what Yahweh was to the Jews in Jerusalem and Judea, yet the saints in Christ remain abysmally ignorant about Artemis who was introduced to them in Acts 19. Paul's five (six if Titus is included) letters to individuals and churches in Asia are replete with allusions to Artemis. These allusions were not obscurities lost among our brothers and sisters who had emerged out of the cult of Artemis. The ancient rants and parroting (consider the crowd in Acts 19 or the scribe; Mark 12:34) or modern glib talk about creation and culture concerning I Timothy 2 and the convoluted, reinforced misunderstandings of Paul are not unlike other misunderstandings of Paul IN THE FIRST century. Older than that. Far older. Older than humanity itself, even.